A.C.E. stands for Accepting the Challenge of Excellence. This program recognizes high school students who have made a dramatic change in their attitude and performance during their high school years. These changes have enabled the students to overcome incredible adversities and prepare for graduation. Clubs may also submit their top A.C.E. Award winner to the district competition. Winners at the district level then have an opportunity to compete for the National A.C.E. Award. 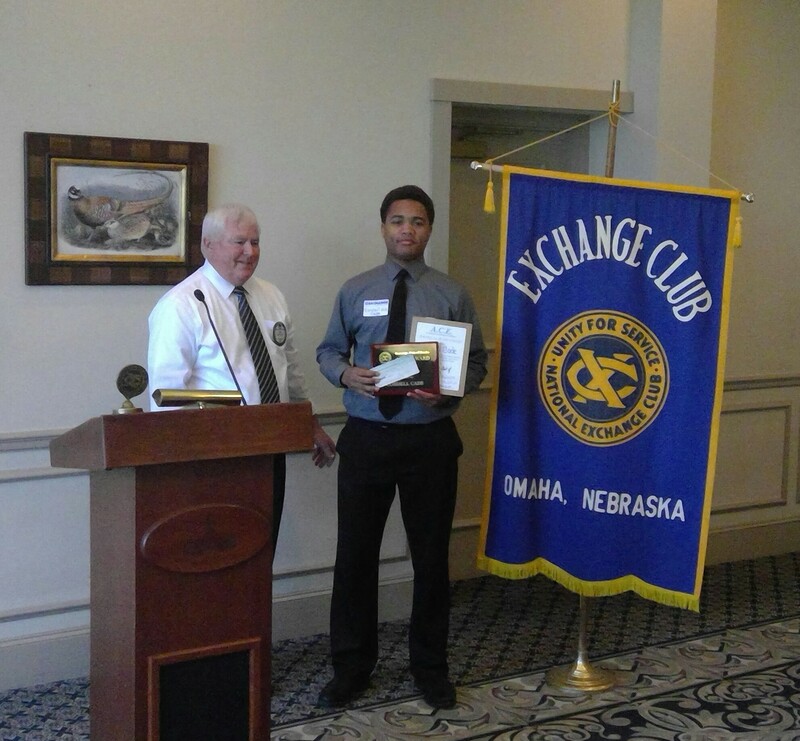 The Exchange Club of Omaha was proud to present the 2017 Achieving the Challenge of Excellence ("A.C.E") Awards to Boys Town Seniors Cordell Cade and Veaughan Johnson. The Honorees were presented with a plaque, a certificate, and a monetary scholarship. Their houseparents and relatives were in attendance at the luncheon and presentation. Best wishes to each as they pursue their dreams in college! 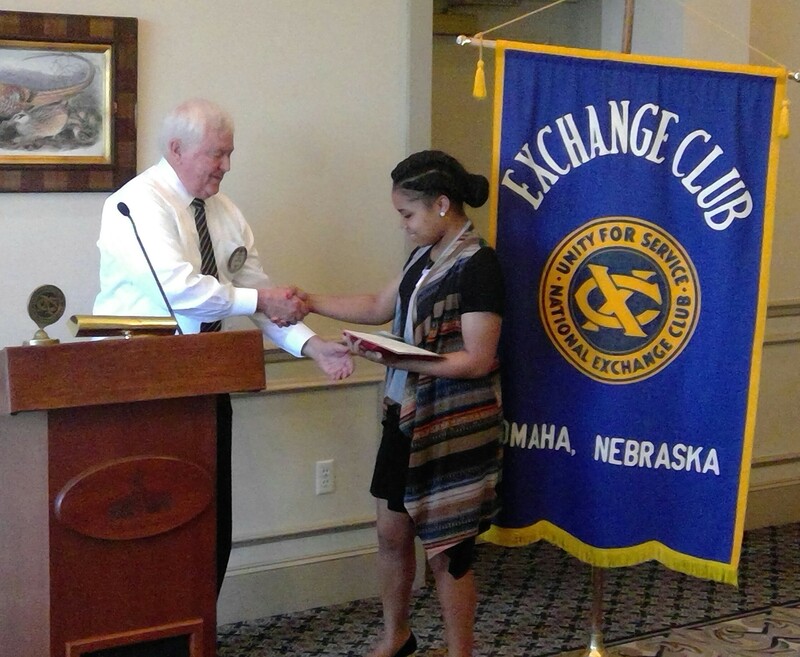 On April 26, 2016, The Exchange Club of Omaha was proud to present Adjanate Taliaferro and Elijah Storm our 2016 A.C.E Award. Both are currently seniors at Boystown and preparing to continue on to college in the fall. We wish them all the best in their future endeavors! 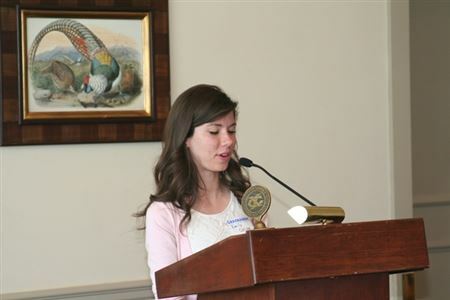 Two Boystown Seniors, Emily Colling and Sam Saintizaire, were honored at our Club's luncheon meeting on April 28, 2015 at Happy Hollow Club. They were accompanied by their houseparents and family members. Each shared their stories with the Club and were presented a plaque, a certificate, and a scholarship. 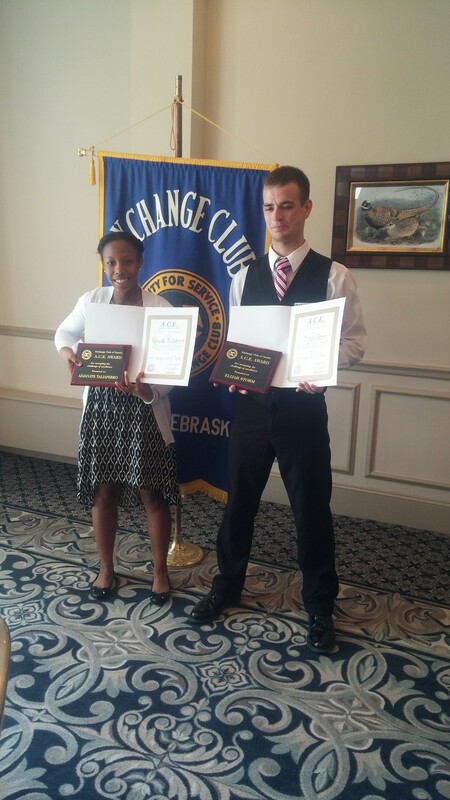 Annie Polland and Xavier Bass, seniors at Boystown, were the first Omaha Exchange Club Honorees of the A.C.E Award. Annie and Xavier were honored at the Club's luncheon meeting on April 22, 2014.